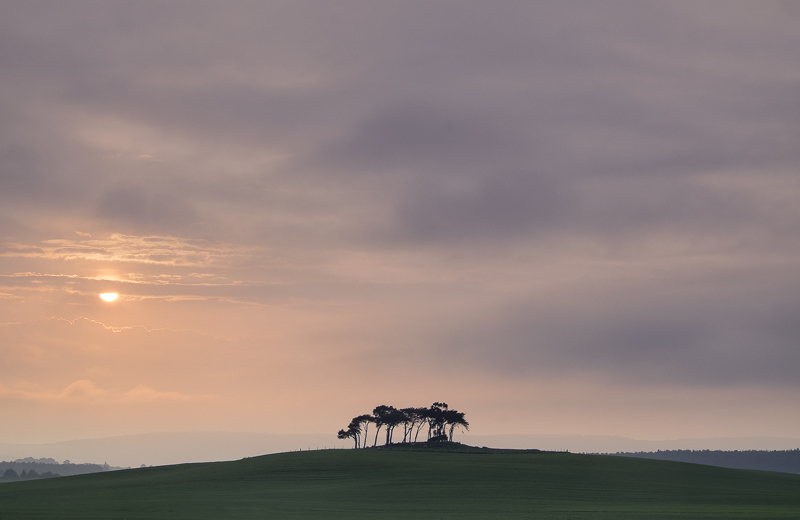 A summer sun sinks down beneath a murky sky consumed by a sea haar next to the Gollanfield pines near Nairn. The suns strength muted makes the contrast mangeable and the light that much sweeter. I waited until half the suns disc became visible again before making my final capture as this seemed to present the essence of that gorgeous summer evening at it's very best.